These lovely slate christmas decorations from Ruddick Garden Gifts would be a welcome addition to any christmas tree. 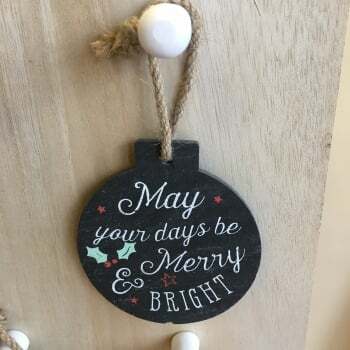 Available in three designs you have the choice of a slate star which reads "All I want for Christmas is You", a slate bauble which reads " It's the Most Wonderful Time of the Year" and another slate bauble saying "May your days be Merry and Bright". Each decoration has a hessian rope hanger.